The second month of school finds us settling into reassuringly predictable routines. On Wednesdays, Leo gets retrieved by me and my minivan instead of by short bus, so that he can go to speech therapy with Sage in her new office. On Thursdays, the girls and I get a sweet treat at the patisserie Mali christened "Plapamoose" after picking up Iz from early release day, so that my eldest's blood sugar level will not complicate the following piano lesson. On Mondays, I pick up Mali and then Iz, and we have just enough time to go grocery shopping before we come home to meet Leelo's bus. And grocery shopping is what we were doing on a recent afternoon when the girls and I ran across a grown-up member of our tribe and his adult companion. Mother and son? Likely, but assumptions tend to bite back. He was definitely one of ours, and at several inches over six feet was not able to fly under the radar like Leelo occasionally can. Unlike Public Outing Leelo of late, he was calm and seemed amiable, though his companion was holding his hand every time I spied them. I couldn't stop staring at the two of them. It took all of my willpower not to run after them when they exited the store. Why? I wanted to thank his companion. I wanted to tell her how grateful I was that she brought him with her instead of leaving him at home, and though it may not have been her choice, she forced a confrontation on people who prefer to pretend our kids don't exist. 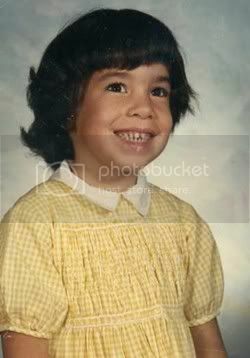 I wanted to tell her that, though her excursion may not have been an easy one, she was doing good and helping all of our children. Thank you, you two, whomever you were. I hope you receive all the love and support you deserve. I have no intention of leaving Leelo home as long as the chance of a successful outing is 75% or higher. He can chew on all the straws he wants, make funny noises, and behave however he likes as long as he is not inconveniencing or endangering me or anyone else. Even so, I get tired of occasional Pity Stares and often wish Leelo had some way to deflect them. Our own Signora (Captain) Blog has come up with a great design for all of us quirky types to sport, so wear your quirky pride with a t-shirt or other gear from the SEPTAR CafePress shop! Kudos to you for not leaving Leelo at home. We take Jaymes everywhere too, and have no regrets. even when it's bad, at least we survived it, right? 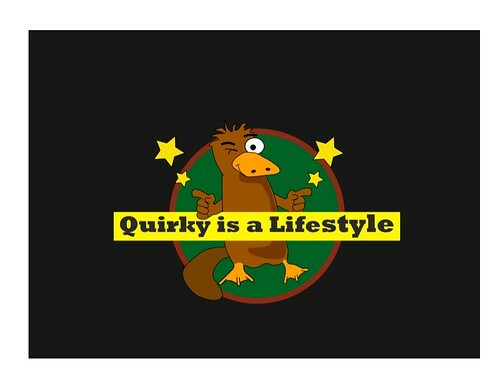 Quirky is indeed a lifestyle. One that we're rather proud of. I am always in awe of how often you do take Leelo everywhere. I feel like we have been moving farther away from taking Jake places. We did go to a Friday afternoon beer hour a few weeks ago, and while it wasn't easy *at all* we survived and I think even had a good time. Thanks for being a great example for me..and others..
Like you, I prefer outings with some chance of success, at least 50/50. So the grocery store is out, since that has a 90% failure rate. I mean if you were using those stats for birth control, you would have 15 kids! I do the same thing, only I generally have to stop and talk to the people, I can't help myself. And since I am not the even tiniest bit shy, well then, I have to talk to them. There is nothing that application of platypi does not improve! I heartoly endorse this shirt, and extra props for Plus sizes in women's cuts! I take Fox everywhere I can. It's not always easy, but I do enjoy his company most of the time. I spotted a dad/son pair at Half Price earlier this year. The son was probably in his twenties, looking in the same video section as Fox, and it was so cool to see these two fellows playing a game of slow human Tetris as they chose tapes, always close, never bumping. The dad was, not surprisingly, awesome. I was glad to see them out.